With Grandma in town to watch the kids, I wanted to take Anna out for a special dinner for our anniversary. Most of our meals are fast food or home cooked meals, so if we’re going out to eat, it needs to be something memorable. I recently read about Bourbon Steak Nashville opening atop the JW Marriott in Downtown Nashville, so I knew that would be the one. It’s located on the 34th floor and has spectacular views of the city. Which card should I have used to pay the bill? Bourbon Steak Nashville is a Michael Mina steakhouse at the JW Marriott. Michael Mina is an award-winning chef that manages more than 30 restaurant concepts around the world. Anna and I ate at Michael’s Las Vegas Strip Steak a couple years ago for Anna’s birthday, so we knew we were in for a treat. We were staying at the Mandalay Bay Hotel for a Billy Idol concert. Highly recommend the pool for people watching and catching some rays. We arrived at the valet parking for the JW Marriott and mentioned that we were there for dinner at Bourbon Steak Nashville. I was told that the valet parking would be complimentary with validation. Anna and I walked into the impressive lobby of the hotel and were directed to an express elevator around the corner. We were about 15 minutes early for our 9 pm reservation, so we walked over to the Bourbon Steak Nashville bar to enjoy the view. Anna and I enjoyed a drink at the bar while waiting for our table. I had a local IPA while she drank a blueberry vodka with soda water. After a few minutes, we received a text that our table was ready. When we sat down a card celebrating our anniversary was waiting for us. Signed by all of the staff. Jayson, the manager of Bourbon Steak Nashville, brought us two glasses of champagne and thanked us for spending our anniversary date night with them. He knows how tough it can be to get away when you have young children. He moved here from LA as well. Our server Hamad was also from LA. He was incredibly friendly and took time to chat with us and answer our menu questions. We saw people enjoying a trio of fries at the bar and asked Hamad about them. He replied, don’t worry a complimentary order was already on the way. Hamad explained the menu and gave his recommendations. I ordered the 8 ounce Wagyu beef Australian rib cap. Anna ordered the 6 ounce Wagyu Australian filet mignon. We paired it with the signature truffle oil Mac N Cheese. Anna ordered a side of the crispy Brussels sprouts with a honey & lime glaze. The fries came shortly after we ordered. Each of the 3 fries had a different flavor to them and were paired with a sauce. The first had a white truffle base and paired with a white truffle sauce. The second fries were seasoned Fenee and garlic and were paired with house-made ketchup. The third had a dill flavor paired with vinegar barbecue sauce. Anna’s favorite was the white truffle dipping sauce. The white truffle dipping sauce was Anna’s favorite. The trio of fries seems to be a signature of Michael Mina restaurants. Not only did we have it here at the Bourbon Steak Nashville, we had a similar trip at Strip Steak Las Vegas. A server brought each of us a dish with a single rice ball with King crab center topped with caviar. Anna absolutely loved it. She said that the Aioli sauce with Japanese red pepper flakes at the bottom of the puff makes the dish. To drink, we ordered a bottle of the Mt. Vedeer Cabernet Sauvignon from Napa Valley. Cabs and Syrahs are my favorites to pair with steaks and chocolate desserts. Bourbon Steak Nashville has spared no detail in crafting an amazing guest experience. Even the bread plates are opulent. They have a matte finish and feel like a seashell to the touch. We didn’t try it this time, but will have to when we go back. Our steaks were melt-in-your-mouth delicious. They were massive cuts of meat, but there absolutely no way we weren’t going to finish them. The best steak I’ve ever tasted. Anna had the Brussels sprouts that were adorned with thinly shaved radish. Hamad told us that nobody has finished the side dish of the Truffle Mac N Cheese yet, but we literally couldn’t stop eating it. We were ready to call it a night when Hamad shared that a dessert was on the house for our anniversary. He asked if we’d like to see a dessert menu or if we’d like for him to pick for us. We said he could pick and mentioned that something chocolate would be wonderful. The Valrhona Dark Chocolate Mud Pie dessert is decadent. A little while later he showed up with a decadent Valrhona Dark Chocolate Mud Pie with a scoop of vanilla bean ice cream and a smoked marshmallow purée topped with a warm fudge sauce that was poured atop of it all right in front of us. It was pretty amazing. Credit card issuers are starting to recognize that dining out is a big portion of the average discretionary spend. This is especially true if you go someplace nice to eat like Bourbon Steak Nashville. There are at least three credit cards that offer at least 4% in cash back or rewards on dining. The Chase Sapphire Reserve gives 3x points on dining. However, those points provide the equivalent of 4.5% back when used to purchase travel. This is the credit card that I used since I was recently approved for it and am trying to meet my minimum spend. Capital One Savor offers 4% cash back on dining and entertainment, plus 2% cash back on groceries. It is a pretty impressive card for foodies and people who go out on a regular basis. 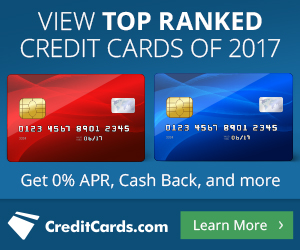 Of the three options, this credit card is one that I would suggest most people keep because of its lower fee and ease of use. The American Express Gold was recently revamped to offer 4x points on dining and groceries, plus 3x on flights purchased through Amex’s portal. It does provide a $100 annual airline fee credit, but the annual fee was raised to $250. Which credit card do you use when you go out to eat? Overall, we couldn’t have imagined a more perfect evening for our anniversary. The food was excellent and the service superb. The staff at Bourbon Steak Nashville ensured we enjoyed a memorable anniversary. We will definitely be back, but with a price tag that is beyond our normal budget, it will be reserved for special occasions. If you’re wondering how much this anniversary dinner out was, I’ll be honest, it was expensive. Probably about as much as if we had stayed at the JW Marriott hotel for the night. Not the smartest move since I quit my corporate job, started freelancing, and moved to Nashville. However, we are frugal on the things that don’t matter to us, so we can splurge on the things that do. Life is all about choices. Memories like this night will last a lifetime. Could we have created memories like this for a fraction of the price? Absolutely. What have you splurged on for a special event? Did you regret the decision later, or were you happy with the value you received for your money? Let us know in the comment section below.